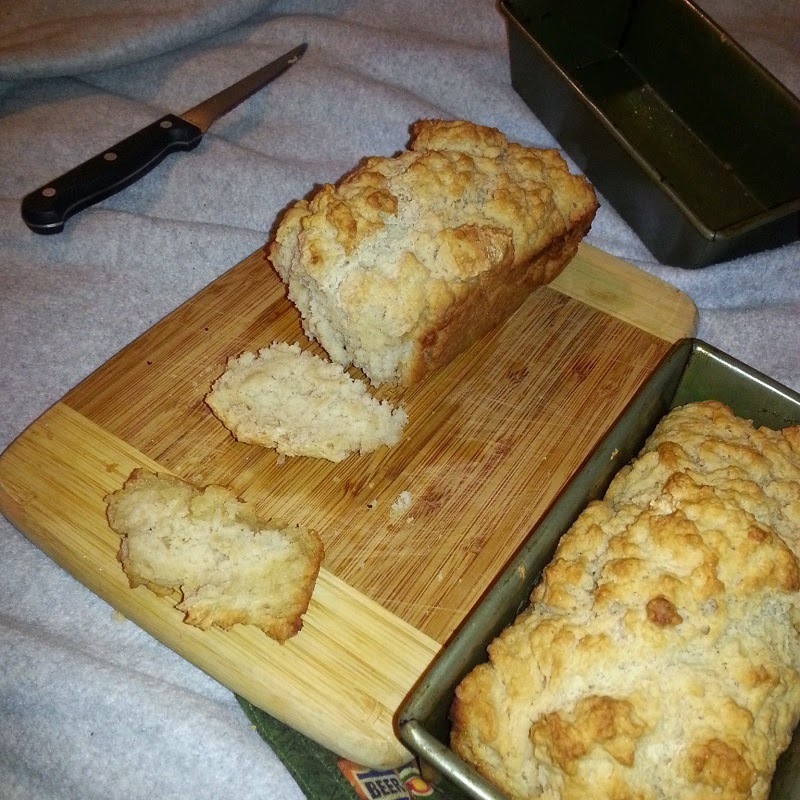 If you like the flavor of beer and the wholesomeness of bread, then you'd definitely love beer bread. It's incredibly easy to make. Next add in a can/bottle of your beer of choice to the mixture and stir. Once the beer batter mixture is completely stirred, add the dough to 2 sprayed loaf pans. Melt the butter in a microwave and pour it over the loaves. Bake at 375°F for 1 hour. It's that easy. The bread will rise within the first 15 minutes, but the dough won't be ready until the hour is up. After 30 min of baking. I've experimented with several beer styles while making this bread and I can say that lighter beers (American lagers, pale ales, etc) tend to make a better final product. Darker beers with lots of flavor like stouts affect the color and flavor by adding roasted character to the bread. The bitterness is desirable in beverage form, but I did not like it in bread form. If you want to try a dark beer, try using one that is not made with roasted barley. Feel free to experiment and find out which beer is best for your taste buds. Sweet!!! I was looking for a good recipe! Looks great bro!